The Collection was created by the late Dr. Marion Day Mullins. It was assembled by the Texas Society of the Daughters of the American Revolution during Dr. Mullins' term as State Regent from 1937 to 1040. 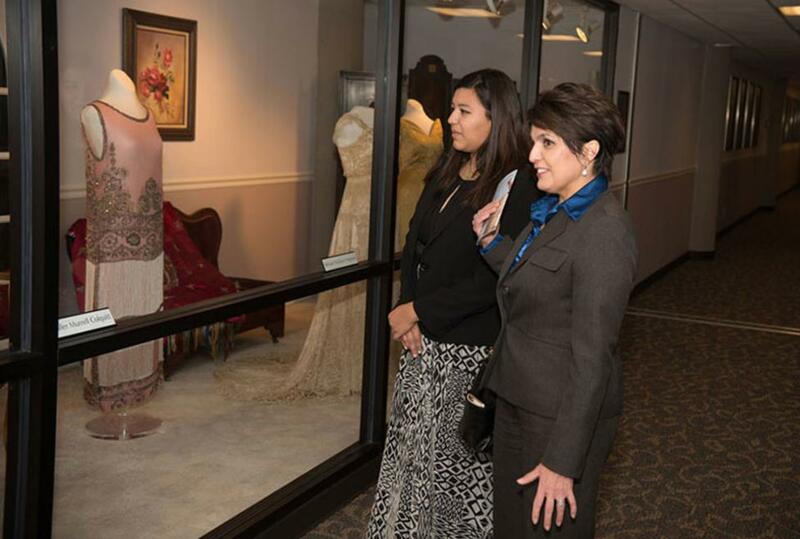 She presented the collection to TWU on behalf of the DAR in 1940. There are over 40 gowns in the collection with 17 being on display at any given time. Each gown has been loaned or donated to the University. 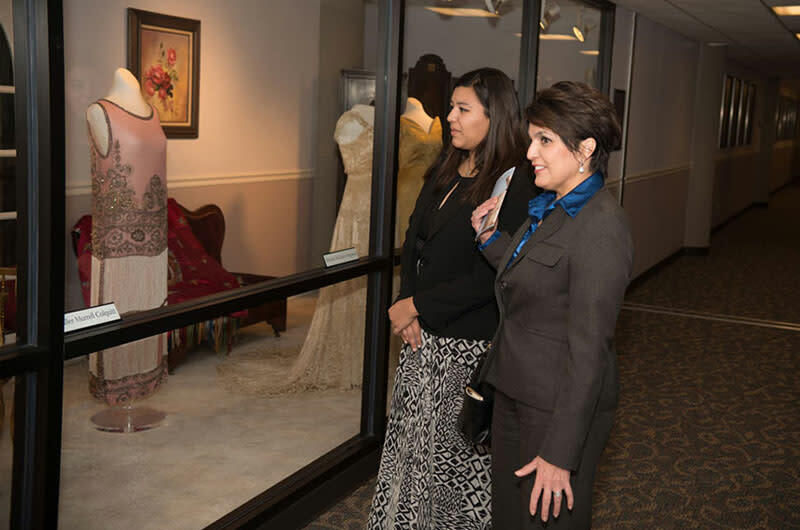 The gowns are from the time when Texas was a Republic through present day and include not only governors' wives and governors but presidents' wives as well. The Collection is open Monday through Friday and admission is free.